If you are a beer garden been owned by a German chorus group for over a century, please step forward. A-a-ah! Not so fast Every-Establishment-in-the-Country, there is only one. 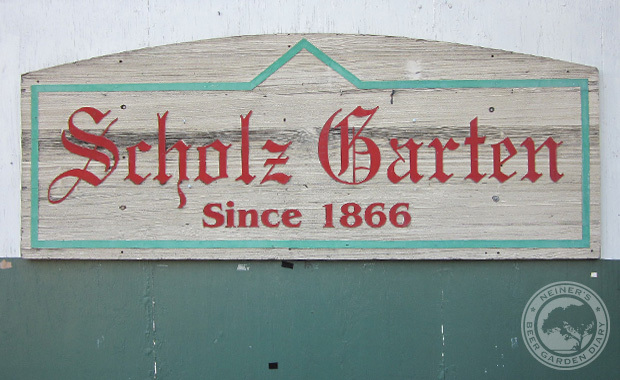 In December of 1908 a German singing club, The Austin Saengerrunde (singer in the round) purchased the restaurant and bar from The Lemp Brewery and built a bowling alley near the Biergarten boundaries. 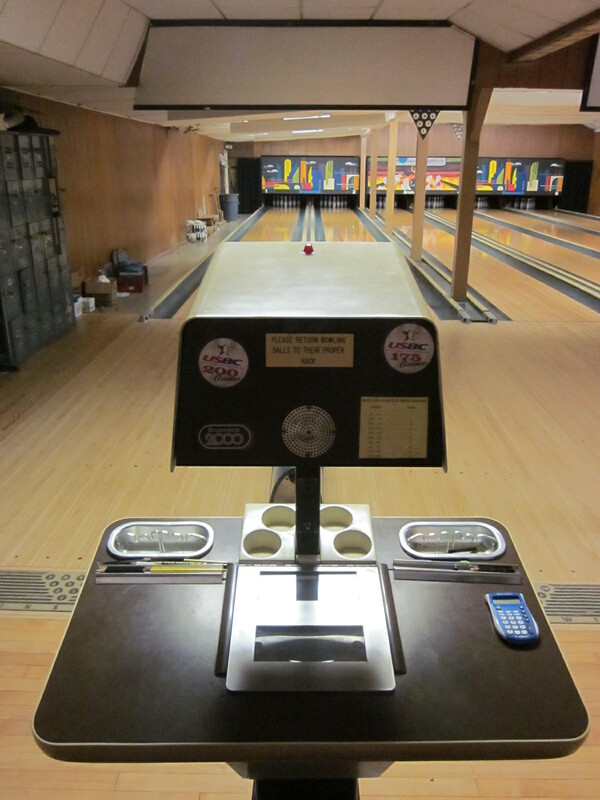 The six lane bowling alley is still in operation. 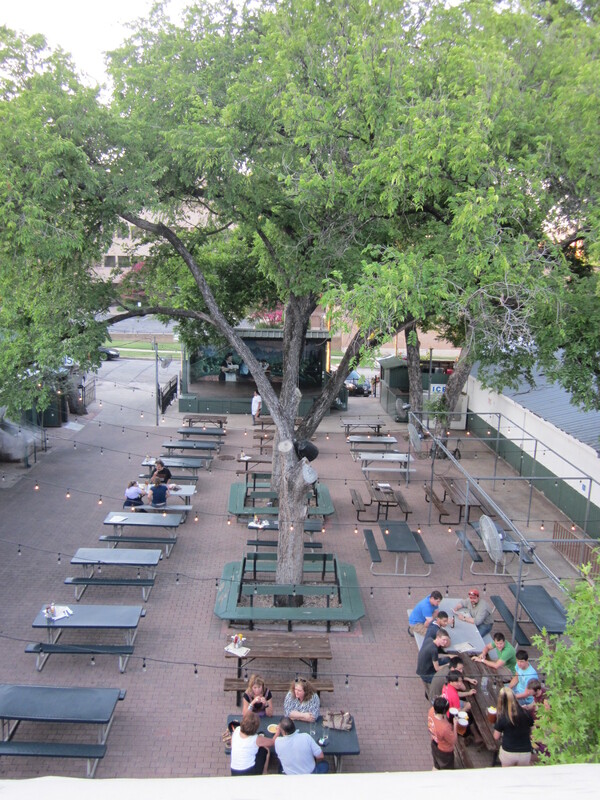 The Saengerrunde still owns Scholz Garten, but leases the bar and restaurant operation to restaurant entrepreneurs like myself. After a short trip back to San Antonio to drop Jessie off at the airport, I double back to Austin to spend one last day. Nicole graciously lets me use her apartment as home base for another night. 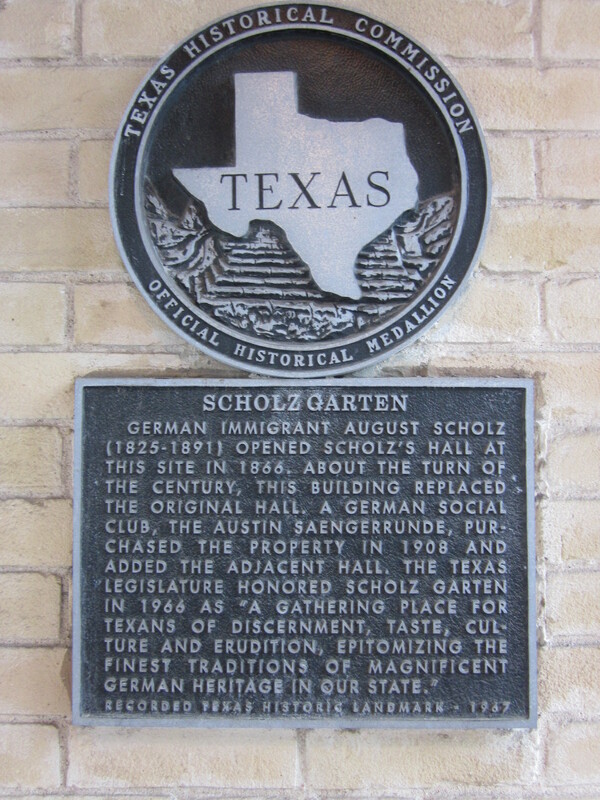 As I posted earlier, I tried to find Scholz Garten the day before, but failed. 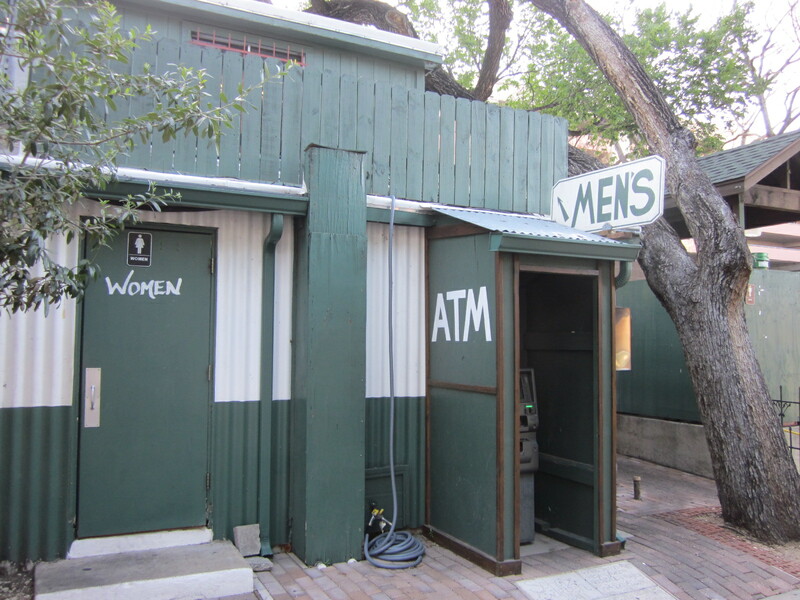 I really want to find this place since I heard that it is the oldest bar in Texas. That would turn out to be quite an understatement! 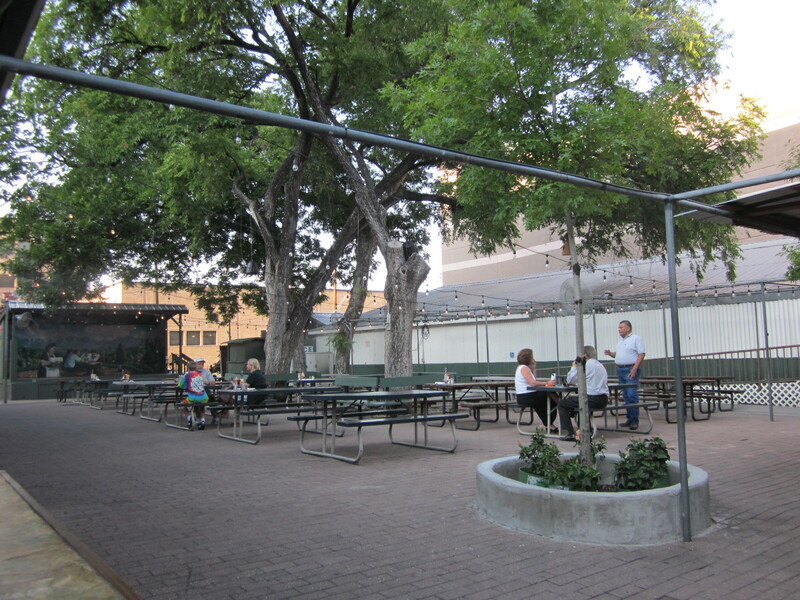 But so far on my short tour of the US, all of the establishments I have been to have been relatively recent arrivals to the beer garden scene. Nothing more than a few years. That is all about to change. While Nicole stays late at the office, I crash back into Austin and make a B-line for Scholz again. This time, I will not leave until I have sat under a tree and drunk a brew dammit! I get a little worried since the GPS is leading me exactly the same way as when I had tried earlier and failed. I hear “Arriving at destination on left” again, in the exact same place as before, only this time, there it is. It had appeared out of thin air! I swear it wasn’t there yesterday! It is boxed in beside municipal buildings and towering parking structures. I park in a metered spot out front. 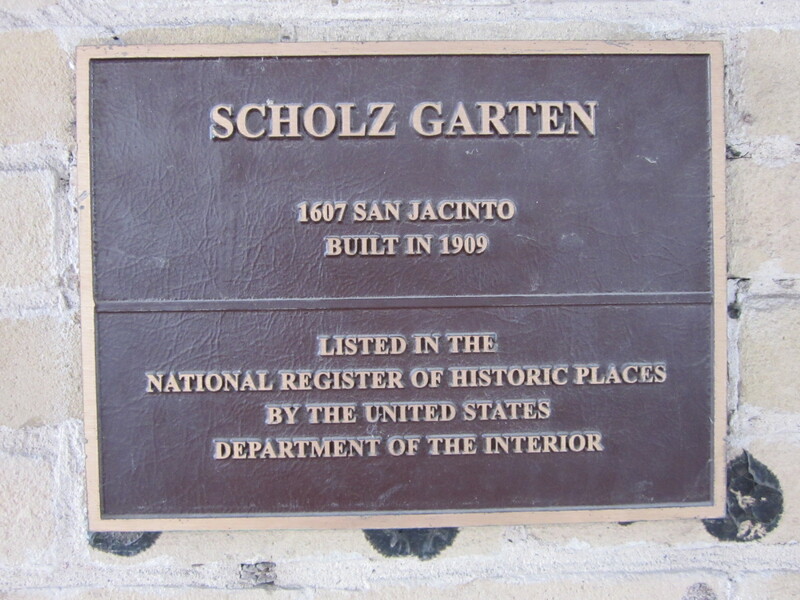 As I walk around the building, I see plaques denoting this as a National Historic Place and a Texas Historic Site. I wander around back and enter through the garden. It is fantastic! It is so classic! There are 5 huge shade trees and 3 more are being planted. Around the 2 most prominent trees in the center of the garden are benches making a square frame at the bottom. Everything is painted green. Just green. There is a big green stage at the near end of the garden with a giant mural of Bavaria as the backdrop. There are about 10 industrial fans mounted overhead around the perimeter of the space and they’re fashioned with misters that spray out a fog as the fans oscillate. Under our feet, brick covers the entire courtyard. There are dozens of picnic tables. My friendly waiter brings me a menu that features food on one side, and a list of some brews and a history of the establishment on the other. I get to sipping and reading. The history is remarkable. This location has operated as a restaurant and bar since 1866! It has gone through a few changes; a Prohibition here, a Depression there, World Wars, disco, etc. Despite 166 years of nearly non-stop operation, the place itself has not changed too much. That is the magic that I felt there. One can tell that the trees in that courtyard could tell over a century of tales. It is fascinating! 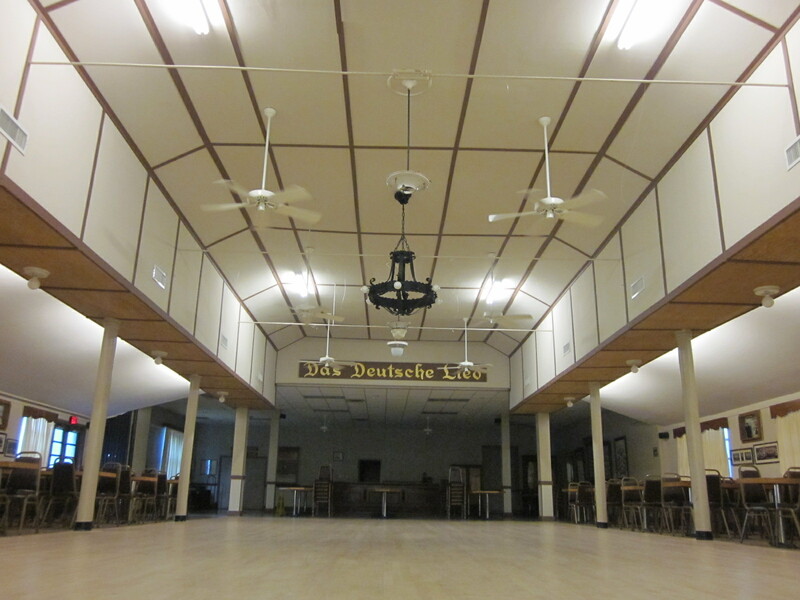 The land and establishment have been owned by a German Singing Organization, called the Austin Saengerrunde, for 114 years. 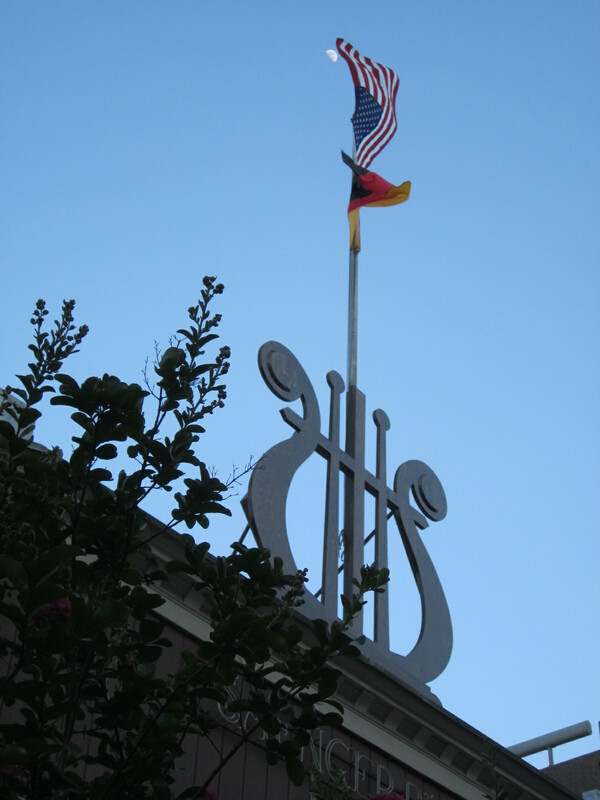 If one is so mindful to look on top of the bar, a large Lyre can be seen accompanying the American and German flags. Jeremy takes me next door to the ball room where the club has celebrations and where other organizations can rent out the space for events. From there, we go through a back door and enter a hidden treasure. An old 6 lane bowling alley! They still have the same wood floors from the original construction, and they employ retro old projector screen scorekeepers. It is available for use by membership, so cool! 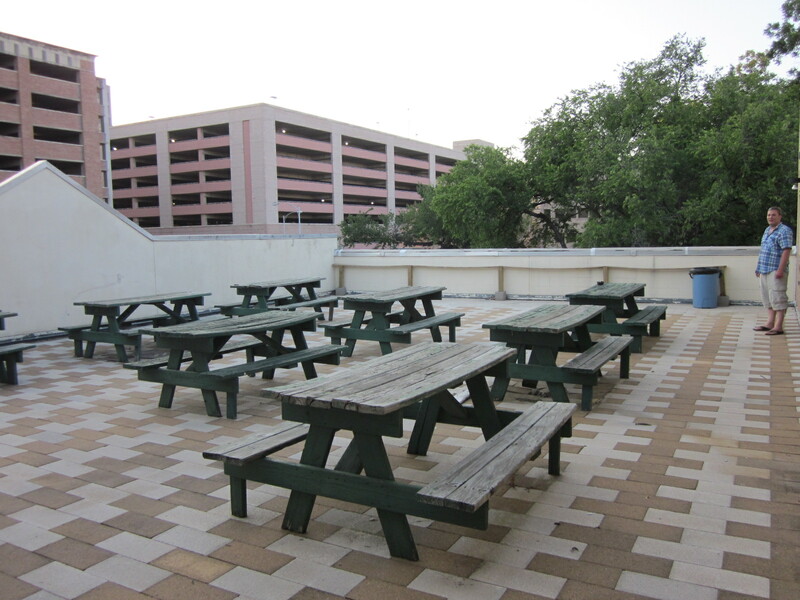 Next we go up some stairs and burst out onto the roof where there are a few picnic tables set up. This has a great view of the garden and is just peaceful and separate. 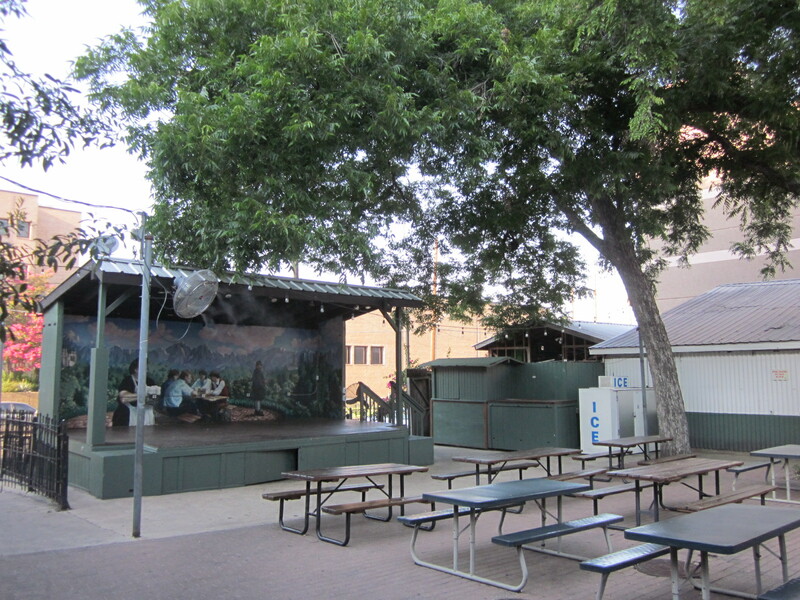 This space is NOT open to the public but is for use of the singing club and as a VIP area for performers. Back into the building, one of the coolest rooms of all. 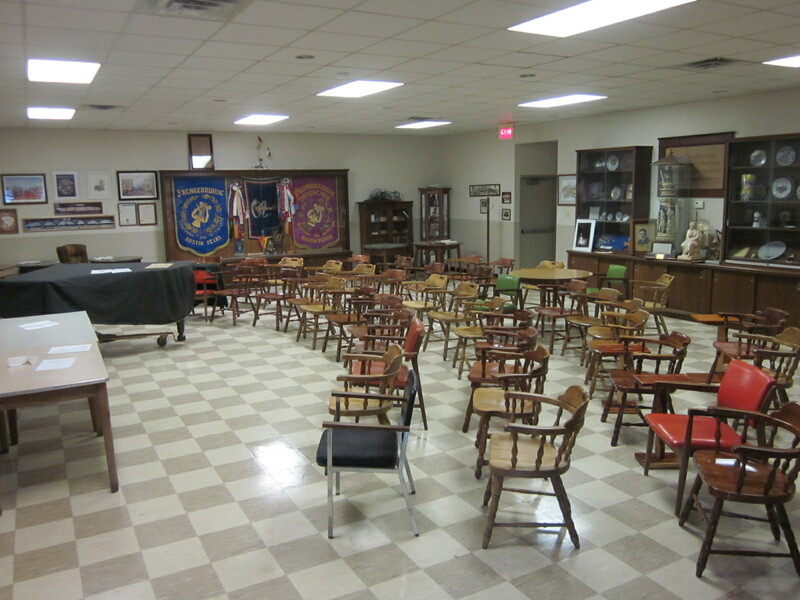 It is the room where the singers practice and have meetings. There are fine individual chairs set up in arching rows. Around the back are old photos, German insignia, awards, crests and flags. 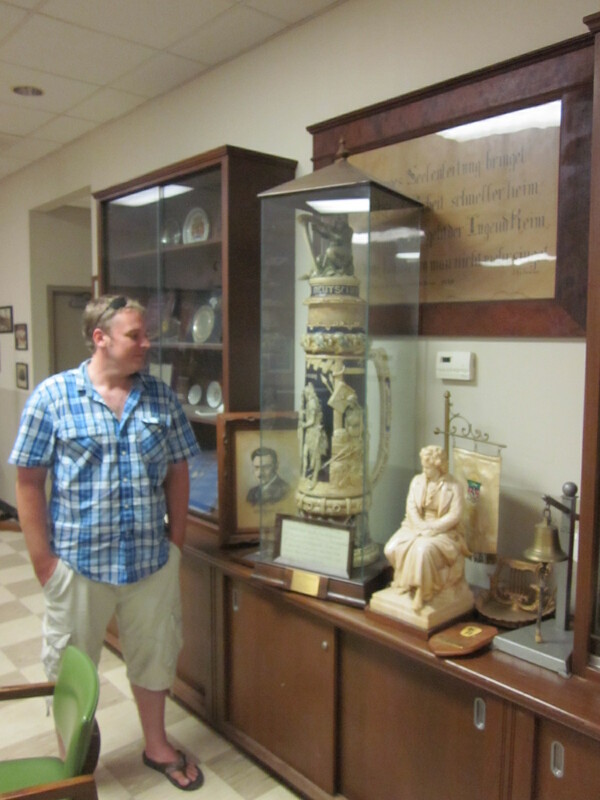 Then, I lay eyes upon the hugest beer stein I have ever seen. It is stunning. Jeremy takes me back to the garden. He tells me that this location is the unofficial-official spot for political debates. He answers a few more of my questions then must go back to the life of a GM. I work on finishing my brew in the shade of the towering Oak and Pecan trees. After stewing on the fact that I am sitting in a place that has a history long enough to have utilized a horse stable instead of a parking lot, I let myself stop thinking about the history. I can relax and know that this point in time is no more or less historic than any of the previous days of operation. The beauty of this place is that it is a relative constant. The history comes to it. When it comes down to it, all the history that Scholz can lay claim to seeing doesn’t matter one iota if no one enjoys gathering there! It set its’ place in the beer garden world with simplicity and consistency. The past merely offers us a way to understand the present and to predict the future. The shade under the trees and cold beer on my table make me feel like I am in the present. Right where I want to be. 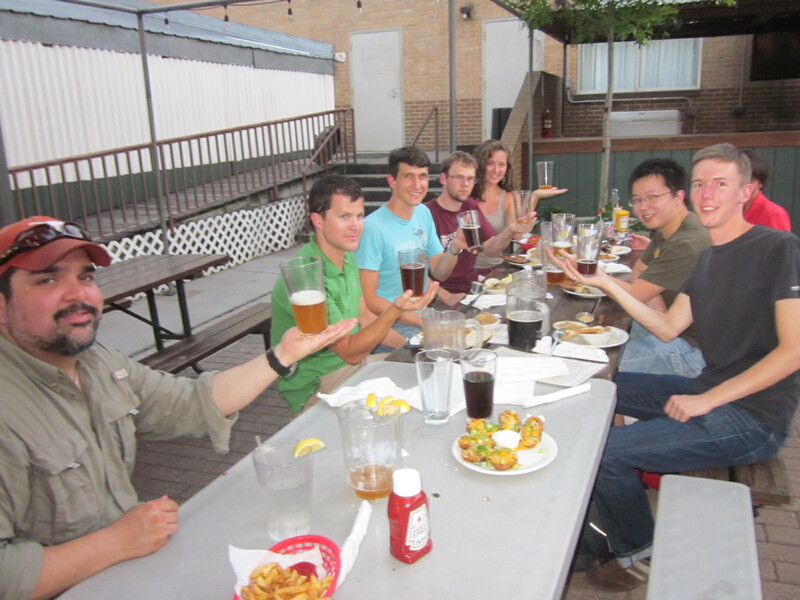 Past, present and future; Scholz Garten represents all of these. 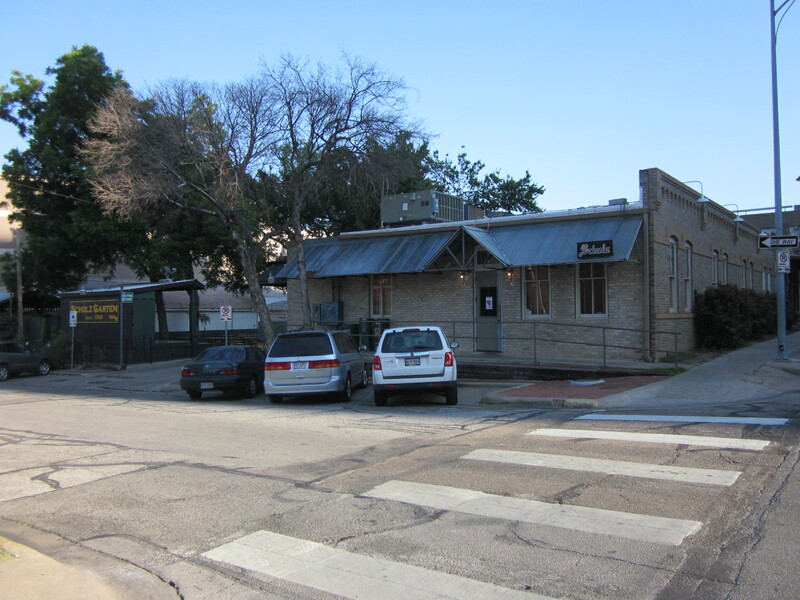 ← A San Antonio Icehouse! Grandmother would get such a kick out of this place! Prost! Yes! Finally someone writes about baldacchino.